How do you plan an absolutely perfect vacation getaway to Anna Maria Island? If you have a big family, a lot of wishy-washy travelers, or just need an idea to go with, you can follow our suggested island itinerary. The below is only a guideline. You aren’t going to be able to see every nook and cranny of Anna Maria Island in just one weekend. It is too wonderful, there are too many things to do, and your time is, despite your best efforts, too short. 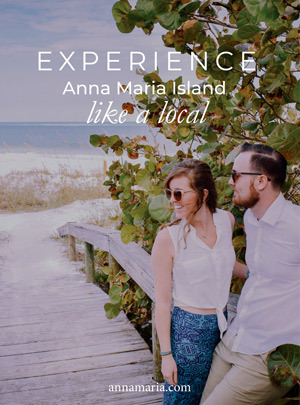 But, the below is an effective place to start to make sure you hit the landmarks, soak in the excitement, stay in one of our reasonably priced Anna Maria accommodations, and make the most out of a vacation escape to this little gulf coast island. Don’t try to squeeze in too much on the first day. You may be tired if you get in later than expected. You may also have some of the day cut out. Below are the three things you can do to open up your vacation weekend in a great way. None of these ideas will take close to the entire day. 1. Morning, Take a Nice Drive Along Gulf Drive: Gulf Drive runs along nearly the entire coast of Anna Maria Island. It transforms into Bay Drive as you continue down, and it is your best introduction to the sights and sounds of the island. You can spot potential places to see and local attractions along the way. 2. Afternoon, Ice Cream at Two Scoops: Take a brief ice cream stop at Two Scoops (101 S Bay Blvd, Anna Maria, FL 34216). Yes, it’s ice cream before dinner. But it’s also vacation, and it is a time to bend the rules. You can also take this opportunity to shop in the Pine Avenue area. 3. Evening, Casual Dinner at the Sandbar Restaurant or Poppo’s Taqueria: Stop by either the Sandbar Restaurant for some waterfront seafood eating or Poppo’s for some authentic Mexican. Both locations are right in the Anna Maria Pine Avenue area, within walking distance from Two Scoops. The best approach for the first day is to just focus on getting a feel for the island. Pick out one single top destination and tackle it, without worrying about trying to do everything with everyone in the group. Saturday is your main day of fun. Unlike Friday and Sunday for many weekend vacationers, you have the entire day, uninterrupted. Take full advantage of it. Dive headfirst into your biggest and most time-consuming things to do. 1. Morning, Big Beach Day at Manatee Beach: The most captivating and popular beach on the island is Manatee Public Beach. It has everything you could ask for. Start the big with some beachside adventures and relaxation- whatever you prefer. 2. Afternoon, Book a Kayak Tour: After you are acquainted with the beach for a little while, head out on the ocean for a water activity such as Kayak or Jet Ski tour – a must-try experience on any Anna Maria Island vacation. We recommend AMI Adventure Rentals. 3. Evening, Big Dinner at Anna Maria Island Oyster Bar: Now we admit that oyster bars aren’t for everyone, but it is an essential part of the Anna Maria island experience. The oyster bar here is on the southern end of the island, with a number of nearby restaurants if you prefer a different speed. The oyster bar delivers a frenetic and fantastic experience right on the water. Find it at 200 Bridge St, Bradenton Beach, FL. You did it big today. You spent some time in the Holmes Beach area and you went south of that by a few miles for some big waterside seafood eating. Below is an overview of the top things you should try to make a little time for on your last day if you didn’t manage to get to it before. Sunday is a quieter and more relaxed day after the busy running-around of Saturday. 1. 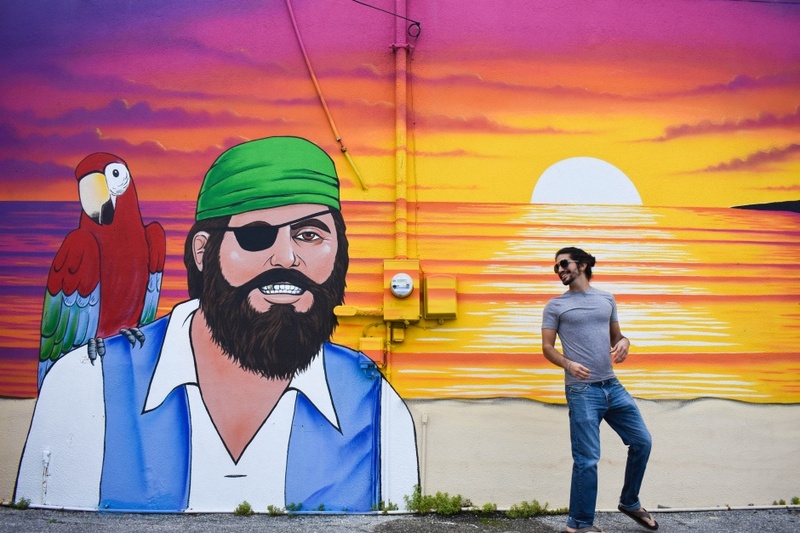 Morning, Biking Anna Maria Island: Rent a bike and go for a splendid morning ride on the Coquina Bike Trail in Coquina Beach on the southern end of the island (1800 Gulf Dr. S.) – one you’re sure to remember with its beautiful scenery. 2. Afternoon, Brunch: Sign of the Mermaid is a funky collective of boutique memorabilia and continental café eating. It’s a great place to grab a late breakfast, an early lunch, stuffed crème brulee french toast, and an assortment of seafood sandwiches. Or head out to Anna Maria Island Beach Café at Manatee Public Beach (4000 Gulf Dr, Holmes Beach, FL) for a scenic brunch on the beach. 3. Evening, Bean Point: Bean Point is a hidden enclave on the very northern tip of the island. It is snug tightly behind a few suburban homes, so you will have to find an almost-secret entrance to see one of the most beautiful views on the island. Any top bucket list items that were de-prioritized throughout the family vacation? Anything that just has to be done before the weekend comes to a close? Use Sunday to tackle a top attraction or activity. Give us a call before your vacation to find some of the most gorgeous fully featured Anna Maria accommodations available. Find rentals right next to the sprawling sea and located near the top things to do. You can reach us at (800)-737-9855.